Note: This post contains affiliate links that may earn me a commission but won’t change the price. 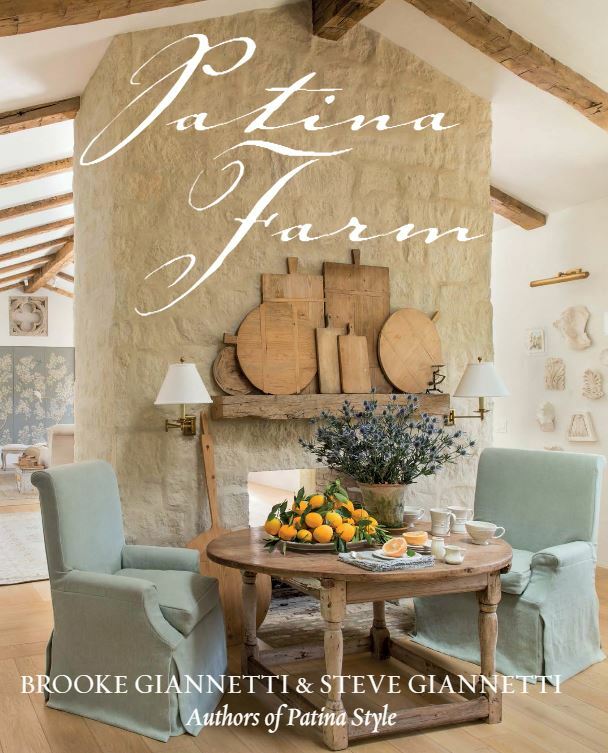 I was excited to see that Brooke and Steve Giannetti have a new book coming out called Patina Farm. You may know Brooke from her lovely blog Velvet & Linen, and Steve as an architect who has designed some amazing houses, including Lady Gaga’s. Steve and I have always had a dream of living on a farm when we retire. The farm would include gardens and animals and room for an art studio. Unfortunately we never thought we’d be able to afford it. Then we discovered Ojai. Not only is Ojai beautiful, but the land is a great deal cheaper than the property in the neighborhood where we live now. It was amazing to follow their journey on Brooke’s blog and see it evolve from sketches to reality. 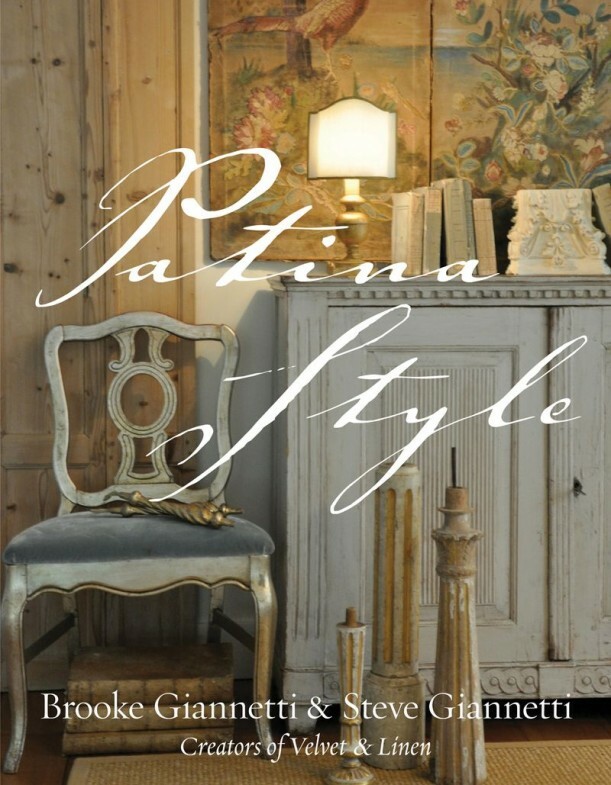 Steve and Brooke’s first book was a bestseller called Patina Style (Amazon affiliate link). The sketch reminded me of the Practical Magic kitchen with the vaulted and beamed ceilings and dramatic central range, but the reality is much lighter and brighter with a totally different vibe. The book isn’t just about the house. It’s about creating gardens and space for animals, too. A few months after I wrote this post I came across an old one I’d written in 2011 about a house designed by Steve Giannetti in Broad Beach, California, and I realized it looked very familiar. It took me a minute to realize why it was ringing a (very loud) bell in my head. Then I realized: the exterior looked just like the house on Netflix’s hit show “Grace and Frankie.” When I compared the real interiors to the set photos, I couldn’t believe how similar they were. 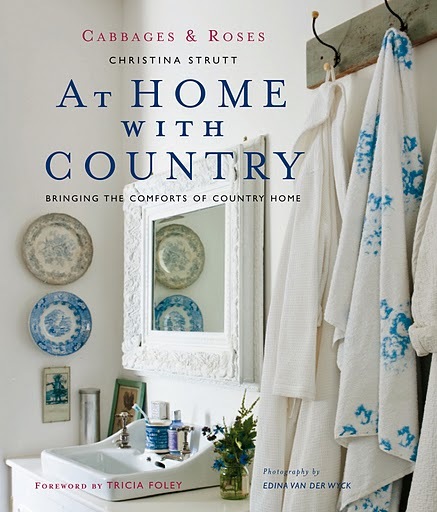 I have been following their blog for years, + I bow down to their exquisite good taste + beautiful house + gardens. They even have mini donkeys + goats! What’s not to love? I can’t wait for the book’s release. Lady Gaga’s house is stunning. What a dream, an equestrian estate! My girls would love it. Brooke is so sweet, and I’ve followed her blog for years. She and Steve are such a talented couple! Very beautiful house and grounds. They do have impeccable taste. It’s not exactly my taste, I like a bit of stronger color now and then, but the materials used are all gorgeous. Well, they certainly nailed That dream house! We just attended a wedding reception in Ojai a month ago. It really is the sweetest jewel outside of the L.A. madness. I love their style and lifestyle. Their Santa Monica home was possibly my favorite home of all time, but what’s not to love about Patina Farm? i love the kitchen, so different from all the regular kitchens ……. 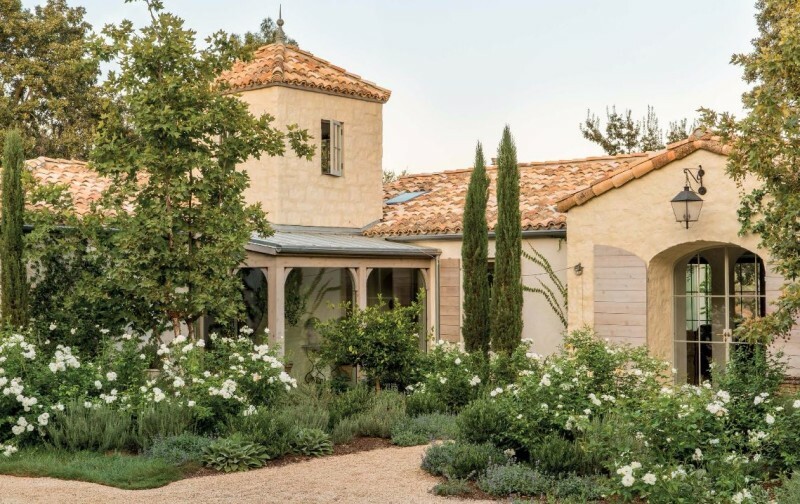 i believe their Patina farm was inspired from Penelope Bianchi’s magical house….with all the trees, tiled roof and the donkeys too. its hard to make beautiful dreams a reality, most people cannot afford the luxury of traveling to France and Italy and buying 18th century items from flea markets and antique stores across Europe.its hard not to be inspired . for the rest of us…..we’ll just be dreaming……! This is absolutely gorgeous. I don’t know if I’m more envious of the house or the environment. It just looks so relaxing! I looked at this after spending an hour navigating my commute home from work, through snow, slush and grumpy fellow drivers. This location looks pretty much ideal, and the home is so lovely. Breautiful, tranquil, serene, dreamy … love it! I’m pretty much in love with everything about this house. It’s my dream to have huge windows and french doors (with a great view) in the bedroom like this. Thank you so much for sharing our story here! It is a stunning property and the house is beautiful, they did a lovely job with it, but I agree with you…. I travel throughout Europe for work, and with having family in France that I visit quite often, I too always find it interesting to see the American version of European style/decor. Just lovely! Thank you for sharing it Julia. I’m looking forward to adding the book to my library. Now if I could just get my hubs to build me some more bookshelves… I love how Brooke and Steve have theirs going all the way up to the ceiling! I’m an east coast fieldstone farmhouse kind of girl (I like having four seasons), but when I do catch myself California dreaming this is JUST what my dream looks like. Exquisite! one of the best blogs around! 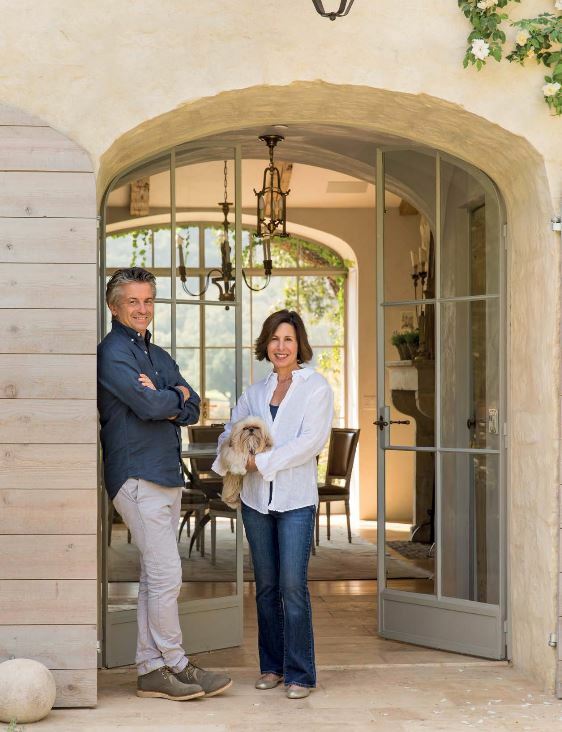 i love that steve & brooke were able to make their dream house a reality, retaining the elements that inspired them & marrying that with the practicalities of a family home. they made real life living magical. also very impressed that they were able to achieve all of this and stay married :))! This house is gorgeous! It makes me dream of a vacation in a sunny place 🙂 the garden is like a dream come true I love it! I love their style and blog. So pretty and inviting.